One of the things I love most about my work is getting out and teaching conversion optimization in person. I appear in full lab coat regalia mixing entertainment and education in equal doses. I’ve got a busy fall and may be coming to your town. This fall, even Google is going to have trouble keeping track of me. Are you close to one of these great cities? Hey Vancouver, I’ll be crossing the boarder for an appearance at the Call to Action Conference on September 12th. This is hosted by our good friends at Unbounce. Yo, Boston! I’ll be coming through town not once but twice. First up is the Business of Software USA, September 15th-17th. Then, I’ll be swinging back through Boston for MarketingProfs B2B Marketing Forum, October 8-10. Wazzup, Indianapolis! I’ll be there for the Hero Conference Conversion Summit, October 13-15. Use Code Speaker15 for 15% off admission. ‘Sup, Philadelphia. Check me out at AWeber’s Ascend Summit October 22-24. Use the code SCIENTIST for 15% off. Giddyup, Las Vegas. 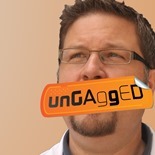 I’ll be Ungagged for the Ungagged Unconference November 15-17 “The Conference for Unpopular Ideas.” Use the code SCIENTIST for 15% off. Hoi, Amsterdam! I’ll be attending the Conversion Hotel Conference. You can checkout any time you like, but you can never leave what you’ve learned. November 20-23. Where are da brats, Chicago? 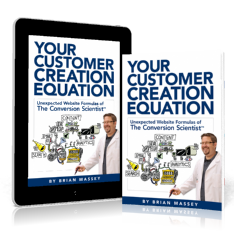 My fellow Conversion Scientist will be appearing at Content Jam October 2. Yes, he rocks a lab coat, too. And of course, I’m most often in Austin, The Conversion Capital of the World. Come by the office for Taco Thursday sometime.